Before anything else, let me give you a brief background on fiber optics. This article will help you get started in your fiber optic technician training by providing very basic information to help familiarize you in this field. Fiber optic cables started getting into circulation more than 30 years ago in the R&D labs (Corning, Bell Labs, ITT UK, etc.) and were first used in Chicago, IL, USA in 1976. By the 80s, fiber networks connected the major cities on each coast. By the mid-80s, fiber started taking over microwave, satellite links and copper. In the 90s, companies discovered they could offer phone and Internet service on that same fiber and that greatly enlarged their markets. Computers and LANs started using fiber about the same time as the telecommunications companies. Industrial links were among the first as the noise immunity of fiber and its distance capability make it ideal for the factory floor. Soon aircrafts, ships and automobile data busses, CCTV for security, even links for consumer digital stereo began using fiber optics as well. Fiber optic cables are not all the same. There is “outside plant” fiber optics used in telephone networks or CATV. And, on the other side of the spectrum, “premises” fiber optics can be found in buildings and campuses. Just like “wire” – which can mean lots of different things – power, security, HVAC, CCTV, LAN or telephone; fiber optics is not all the same. And this can be a big source of confusion to trainees and beginners. 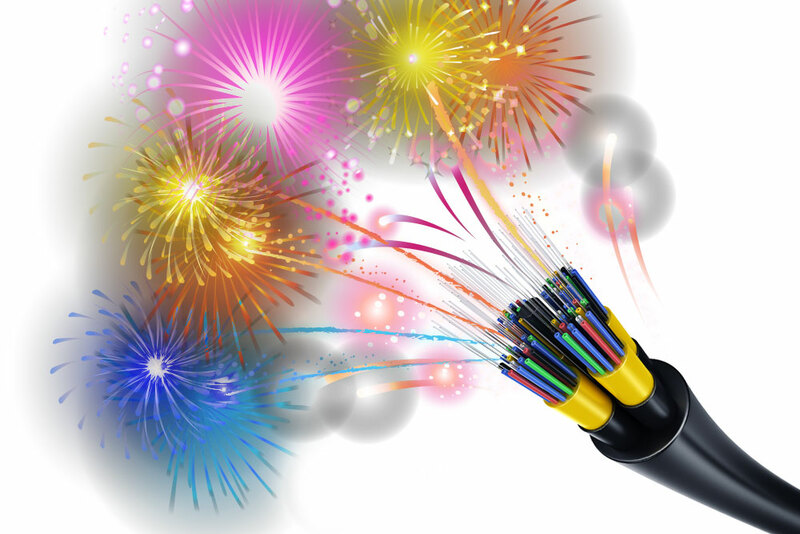 Telcos, CATV and internet providers all use lots of fiber optics, most of which can be found outside buildings. They hang from poles, are buried underground, pulled through conduit or are even submerged underwater. Most of it goes relatively long distances, from a few thousand feet to hundreds of miles. In contrast to OSP, premises cabling is installed in a building or campus. Premises cabling involves short lengths, rarely longer than a few hundred feet, with 2 to 48 fibers per cable typically. The fiber is mostly multimode, except for the expert professional who installs hybrid cable with both multimode and single mode fibers. Splicing is not a usual practice for premises applications. Few installers are well versed in outside plant and premises cabling. The companies that do are usually very large and often have dedicated divisions handling both outdoor and outdoor cabling. Most contractors do nothing but premises cabling. Always use marked containers to dispose of later and work on a black pad, which makes the slivers of glass easier to spot. Do not drop cables on the floor where they will stick in carpets or shoes and be carried elsewhere. Do not eat or drink in the work area.